If you're a regular reader of my blog, I'm sure you'll know by now that I'm a pretty committed carnivore. I always like to eat ethically, and try to source my meat as locally as I can. However, I've still found myself buying New Zealand lamb and multi-packs of chicken breasts from the supermarket out of convenience, even if I disagree with it. So, with January being the month of ridiculous diets and abstinence from all things fun, I thought I'd use this excuse to try out being a vegan for a month. I ate as much as possible of the leftover Christmas cheese and meats, and settled in for the carbfest. I wasn't too worried by the dairy-free aspect of things, as I'm not a huge milk drinker and hate creamy things. I love all vegetables except broad beans so I'm no salad dodger either. The first few days were the toughest, not because I missed anything, but because I stood in front of the fridge thinking "what on earth am I going to eat". Breakfasts didn't change too much. A simple swap of almond milk from normal milk meant that my usual weekday breakfasts of porridge or protein smoothies weren't affected. 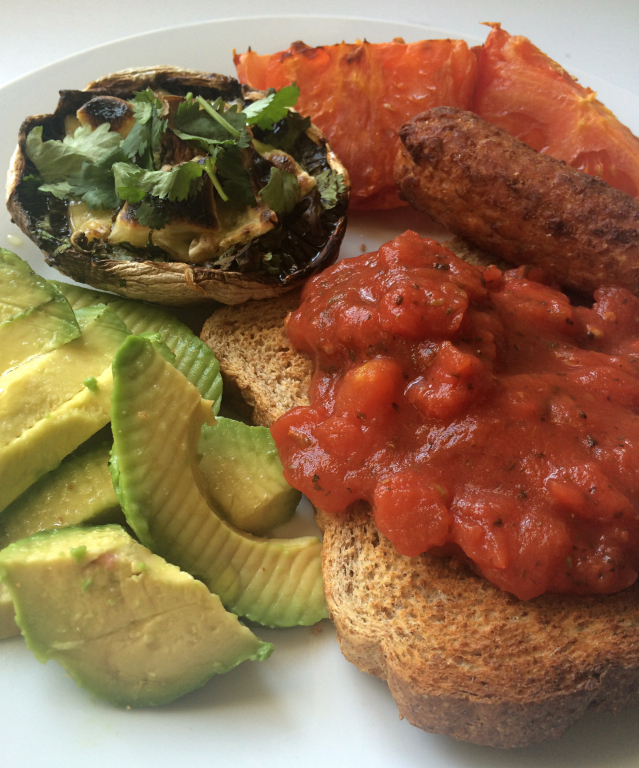 So many avocados and I've rekindled my love of mushrooms. 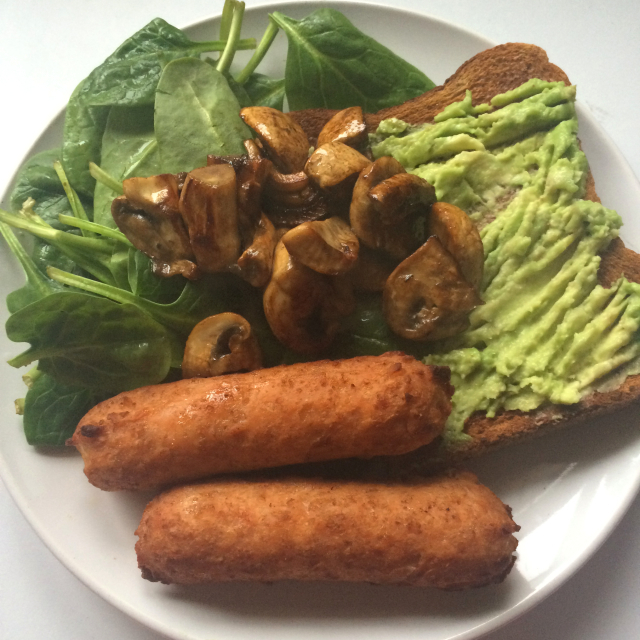 Vegan tip: Linda McCartney sausages are a game changer. I searched high and low for a vegan friendly sausage for breakfast and these were the only ones I could find and they're actually really good. Lunches were pretty boring and this is what I found hardest. I always take lunch to work, and I'm used to taking a salad with some protein on the top. I piled my salads high with houmous and falafels most days, but found the options limited. The best days were when I cooked extra from my dinner the night before, such as veggie burgers or soup, that I could take with me. 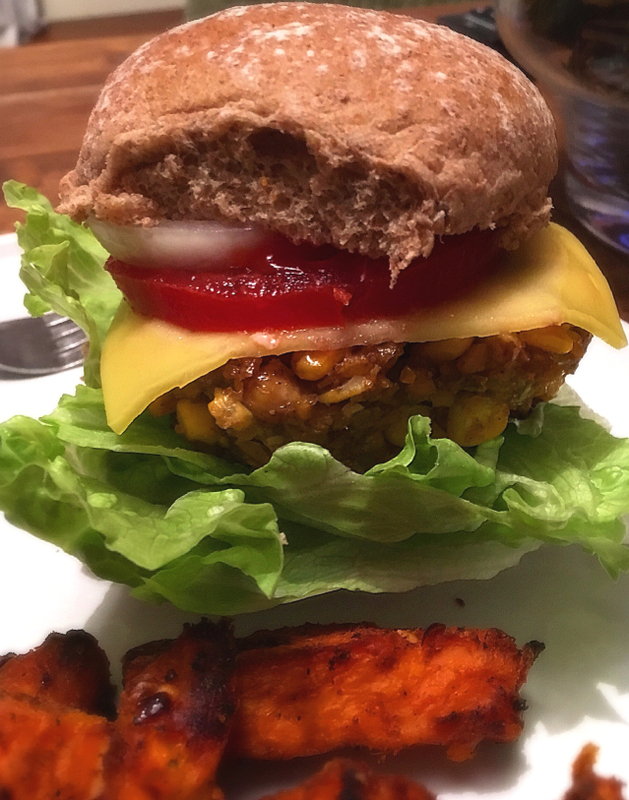 I stumbled across Jamie Oliver's recipe for vegan burgers here, and batch cooked them one evening. Packed full of protein, they're really light and fresh, and I'll be making these in the summer. The best thing about them is that they're tasty in their own right, without trying to be a poor substitute of a beef burger. Great with sweet potato fries too. I didn't eat out much in January due to it being a busy period in work, and also the post Christmas crunch on the pockets. However, I still managed to get some vegan friendly takeaways in, and some home made. Tarkha Dhal is one of my favourite Indian meals anyway (The Lahore do an amazing one) so I didn't miss out with this either. Plus a side of kale, because by now I was feeling pretty smug and virtuous. 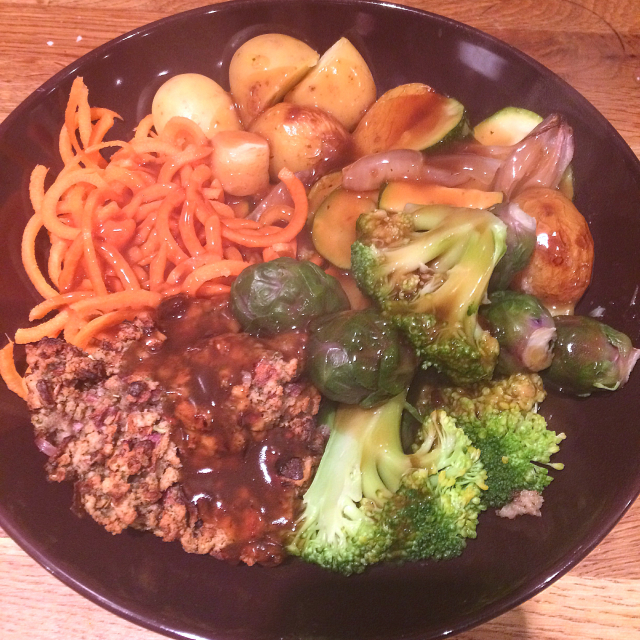 I'm so glad that I did Veganuary, and it's really helped force me into the eating habits that I wanted to instil in myself, but laziness and convenience was standing in my way. Everything got so much easier by the end of the month, possibly helped by the changes I noticed in myself and my body. I didn't lose any weight on the scales, which wasn't the aim anyway, but I felt a lot lighter and much less bloated. The fact that I found out that Oreos were vegan friendly probably didn't help my case here. My skin cleared up almost instantly. I didn't get a single spot throughout the month, and my energy levels were through the roof. I don't know if this was because of the lack of animal products, the increase in vegetables or both, but the 3 o'clock slump didn't exist. I slept better and was a lot more alert in the mornings. So where am I now, in March? It took me a while to eat some meat, and I have eaten meat since. However, I wasn't craving it like I did a glass of wine post sober October. I'm still only drinking almond milk, and I've only had the smallest bit of cheese that's not vegan. I don't suppose there's a label for it, but now I'm trying to only eat meat and animal products as little as possible and where I can be sure they're locally and ethically sourced. I've found that I just don't need those products on my plate all of the time, every day. I used to base my meals around a tasteless chicken breast or a cheap steak, and this has given me the confidence to start cooking again properly, and using different flavours and ingredients. I'm trying not to come across preachy, as I'm aware that some people close up their ears at the word 'vegan'. Hopefully this will help those who are just a little curious, or want to cut down even a little bit. 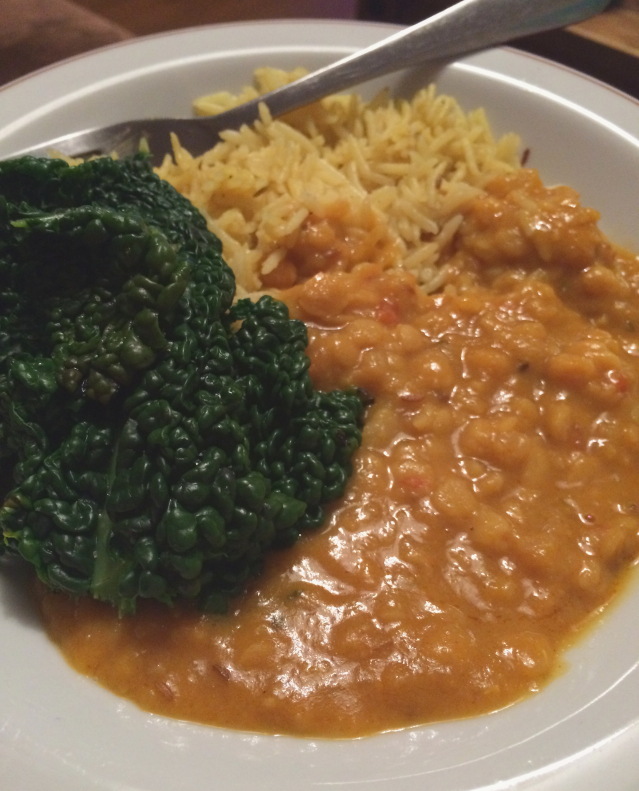 I searched for blogs as I felt pretty helpless when I first started veganuary, completely unprepared. Feel free to tweet me or comment below if you want to steal any recipe ideas! I'll try and pop some up on the blog from time to time.